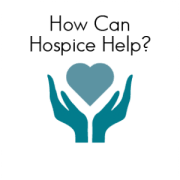 This trained volunteer will be interviewing and recording hospice patients using open ended questions. The recording will then be placed on a CD to give to the patients family as a keepsake. The volunteer would also be trained to do a storybook recording with the patient. This is where a storybook is chosen by the hospice patient or their family that is meaningful to them. Then, the volunteer would record the patient reading the book aloud, which will be transferred to an audio CD. That and the book will be given to the family as a keepsake for years to come.